How Many Watts Should My Home Theater Have? Q: How Many Watts Should My Home Theater Have? A: Higher wattage output, when matched with the appropriate speakers generally mean more sound clarity and the capability for more volume while remaining clear. Lelch Audio Video experts can help design your system for optimal performance. 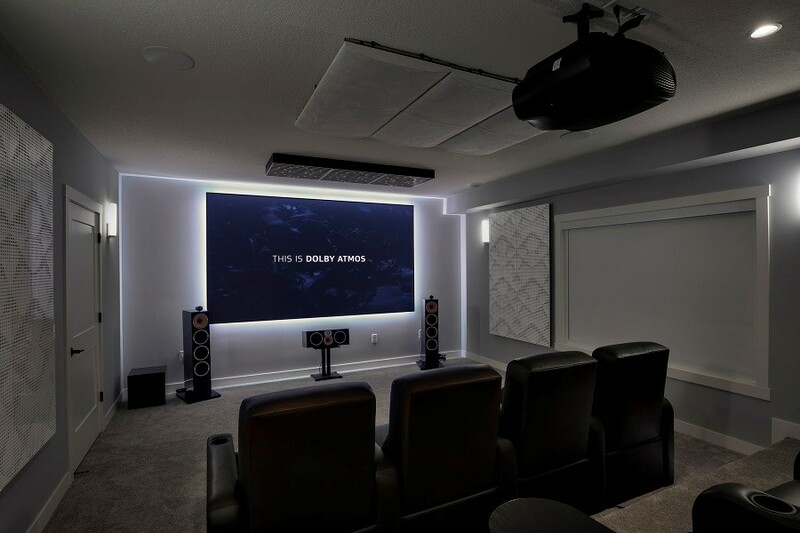 One of the advantages of hiring the professionals at Lelch AV to design and install a complete home theater system for you is that we understand the importance of selecting just the right amount of watts that will deliver optimum performance of high quality sound from the audio system. But the experts at Lelch AV understand that the right number of speaker watts isn't one magic number that suits all situations in order to deliver high quality audio without distortion. We also take the sensitivity of the speakers selected for the theater in addition to something called THD, or total harmonic distortion. Our years of experience add up all three in order to guarantee that your sound system delivers when it comes to loudness, power as well as sensitivity. When Lelch AV recommends a sound system designed to suit the size and space of your home theater, we take the power of watts, the measure of electrical power, into consideration so that the output of your amplifier does not exceed the maximum that can be handled by your loudspeakers. We recommend and install an amplifier that delivers just the right amount of power over long periods as it does in short bursts called peak periods. Our technicians also guarantee that we will install a loudspeaker featuring sufficient nominal power over both the long range as well as peak periods without incurring any damage to the speaker system itself or to your hearing. Lelch AV also takes the measure of loudness in decibels that your speakers can deliver into consideration when recommending the number of watts optimum for your home theater, because this can impact your listening pleasure, especially at very high volumes. We usually recommend that home theater customers invest in speakers with a sensitivity range between 85 and 91 decibels rather than anything under 85 which results in sub-standard sound performance. The more efficient the speaker, the less watts needed to enjoy big volume, so more watts isn't necessarily the most desirable option. Investing in quality speakers that can deliver the best sound without using too much power is more important. Trust Lelch AV to choose quality equipment using the proper amount of watts to deliver home theater sound that blows you away rather than blow out your hearing! Reach out to us by calling (612) 353-5087 or fill out our online contact form.